Lokomotiv Kuban was on the 3rd place in European basketball in the season 2015-16 (Euroleague Final Four participant). Home arena of the club is Krasnodar Basket Hall. The capacity of the central arena is 7 500 seats. Today Lokomotiv Kuban is the most visited Russian basketball club and a graded sporting organization which develops both professional and popular sports. Four youth and children teams are included into the club’s system – trainees of Loko regularly get to national teams of various ages. Lokomotiv Kuban organizes the all-Russian children championships Lokobasket – School League; it unites more than 175,000 participants all over Russia. 2017/2018 season is a reset season for Loko. The number one goal is returning to Euroleague. The roster was formed under preferences of the head coach. Lokomotiv Kuban signed three players of the Russian national team – Dmitry Kulagin, Pavel Antipov and Stanislav Ilnitsky, the winner of the Russian Cup Ivan Nelyubov, American players Joe Ragland, Chris Babb, Trevor Lacey, and Brian Qvale, and one of the most spectacular players of the VTB United League Frank Elegar. At the moment, Loko is the only team in EuroCup that hasn’t lost a game in the regular season. In Top-16, Krasnodar is playing against Trento, Cedevita, and Buducnost. Today Lokomotiv Kuban is the most visited Russian basketball club and a graded sporting organization which develops both professional and popular sports. Four youth and children teams are included into the club’s system – trainees of Loko regularly get to national teams of various ages. Lokomotiv Kuban organizes the all-Russian children championships Lokobasket – School League; it unites more than 175,000 participants all over Russia. In 2016 the club initiated a project of a unique basketball center which is aimed at training young Russian players at a principally new level. In 2016/2017 season, Lokomotiv Kuban marked its 70th anniversary. Over these years, the club did the great journey from a basketball hobby class for railway workers to Final Four of the most prestigious European championships – Euroleague. Unfortunately, Loko didn’t win a trophy in the anniversary year. The team was headed by Fotis Katsikaris at the start of the season. However, due to poor results in all tournaments, he was replaced by Sasa Obradovic. 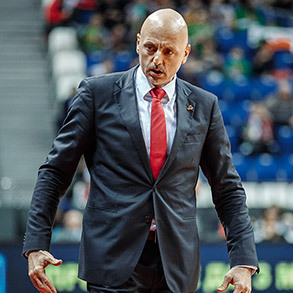 Under his management, the team managed to get to Top-16 of EuroCup but was defeated in the semifinals by the champion-to-be Unicaja. The same story took place in the VTB United League. 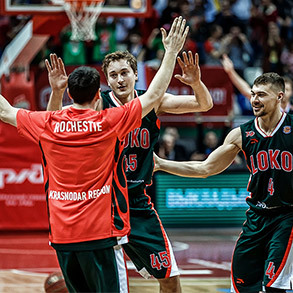 In the quarterfinals, Loko beat UNICS and met CSKA Moscow in the next round of play-offs. 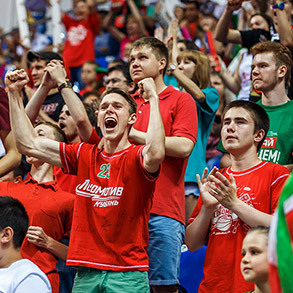 In the 2015/16 season Lokomotiv Kuban became the main breakthrough of European basketball! For the first time, the club received a wild card for participation in Euroleague and got to the Final Four! During the season, Loko defeated Panathinaikos three times, Anadolu Efes two times, and presented fans a fantastic five-game series vs. Barcelona – players managed to win the fifth game at home and celebrated getting to the Final Four together with the overcrowded arena! As a result Loko not only won the third place of Euroleague in Berlin, but also made a contribution to the future – at some point of the 2015/15 season President of the club Andrey Vedishchev announced launching a project of the first basketball center for children in the country, which is focused on training children from the Krasnodar Territory. The 2014/15 season proved once again that Lokomotiv belongs to the elite of European basketball. Record-breaking 19 wins in a row in Eurocup turned into a claim to be the champion, but injures of leaders made Loko stop at the Final Eight. And still, the season is remembered in the club due to bronze medals of the United League of VTB. 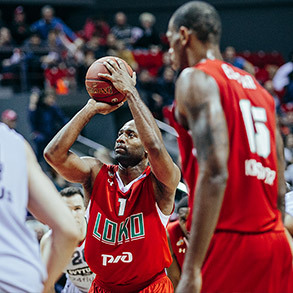 In the 2013/14 season Loko made its debut in Euroleague and got to Top-16 at once – one defeat didn’t let the Krasnodar team get to playoffs. Meanwhile, the team played in two other championships – the United League of VTB and the Russian Cup, and won silver medals of the last tournament. The 2012/13 season marked the 15th anniversary of Loko’s playing in European championships, and the team celebrated it in a big way: Loko won the European Cup, beating Spanish Valencia and Bilbao in the semifinal and the finale. Lokomotiv also achieved the greatest success inside Russia as well – the team got to the finale of the Russian championships for the first time and won silver medals.